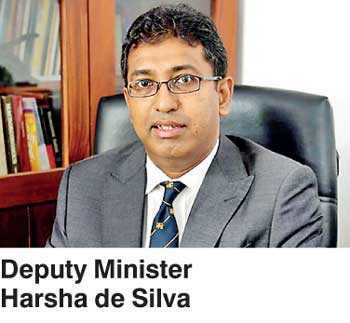 An initiative by Deputy Minister Harsha de Silva to provide transport to A/L candidates to get to examination halls on time as the railway strike continues has caught on, with popular taxi services coming on board to provide subsidised fares to students. “The railway strike has really affected the students who need to get to examination centres on time. On Wednesday I put out a public appeal to all vehicles owners who are travelling during that time to give rides to students who are sitting exams. I did that today and PickMe and TripMo taxi services have contacted me to offer promo codes for students,” de Silva told Daily FT.
Sri Lankan-based taxi service PickMe has announced a Rs. 100 discount for students for rides today from 6.30 a.m.-8.30 a.m. and 11.00 a.m.-2.00 p.m. The move was announced on their social media page, with a promo code to be used by the riders. Local taxi app TripMo has also offered a similar initiative. De Silva’s initiative through Facebook was shared multiple times, prompting private car owners to give rides to students who have been inconvenienced by the strike. The Government also took several measures in a bid to address the situation and help A/L students get to exam centres on time. Bus services operated by the Army and Navy have been launched in certain areas solely to transport students to exam centres, Transport Ministry Secretary G.S. Withanage told the Daily FT. The Ministry has also summoned all retired train engine drivers to operate trains, while all technical supervisors will be deployed to operate trains from today. Nine special trains leaving from Colombo Fort were operated yesterday by technical supervisors.